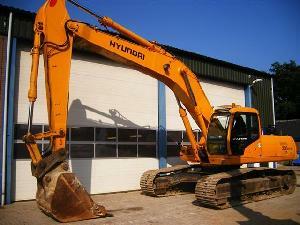 Airconditioning, Checkvalves on boom and stickcylinders, Hydraulic quickhitch with good teeth bucket, Diesel pump. 700mm wide undercarriage about 80% good, most of the machine is in original paint except counterweight. in very good working order, not much play on pins, no leaks and very good running.